It’s never been easier to find suppliers in today’s Internet age. However, this easy access has also opened up possibilities of sub-standard goods or goods being swapped at the time of loading. Our Loading Inspection Service can greatly reduce this risk for you, especially when quality standards are defined clearly by the client and an inspection is agreed in advance with the supplier. You want to ensure that the right product and quantities are loaded into the container. You require the goods to be loaded according to a very specific loading plan. You are consolidating a container from multiple suppliers and want to verify quantities. It is normally carried out after a Pre-Shipment Inspection and in cases where a PSI is not required, it is carried out where a Client has had disputes in the past about the quantities being loaded. Our Loading Inspection is provided both as an ad-hoc service as well as part of the 360° Sourcing Service, which takes care of the entire Sourcing process for you. *The services mentioned above are part of the 360° Sourcing Process, not of the Loading Inspection Service. With the Loading Inspection, an IMEX inspector will visit the factory (or supplier’s warehouse) and physically inspect the goods right before they are loaded on the container or handed out to the domestic logistics company. A loading inspection can also be carried out at the Logistics agent warehouse prior to shipment. 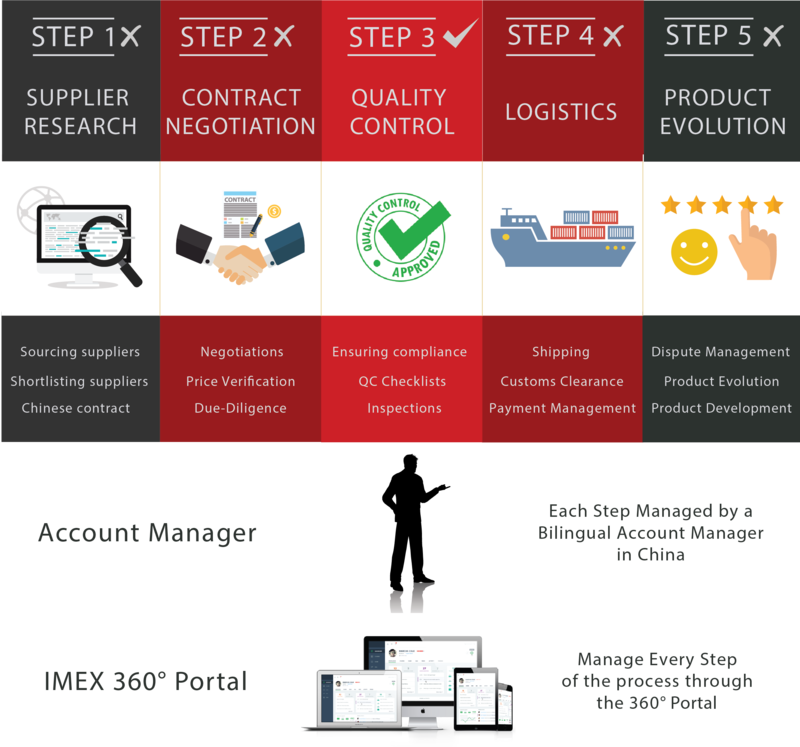 When used as an ad-hoc service, the client provides us with the QC Checklist whereas when used as part of the 360° Sourcing Service your IMEX Account Manager will draw up the QC checklist for you in Chinese to avoid any issues due to the language barrier.